Nabors Garage Doors doesn’t just provide you with the most high-quality garage doors, garage door installation, and garage door repair in the industry, we aim to provide a full range of garage door services which includes garage door opener installation and programming. Like with our garage doors, Nabors uses the highest quality components so that we can leave knowing that you have a quality garage door that will satisfy your needs for years to come. As a garage door service company, we’re proud to be a Liftmaster garage door opener distributor in the Atlanta area. As one of the most renowned and respected brands in the industry, Liftmaster provides garage door openers for thousands of residencies, as well as commercial gate operators, telephone entry systems and other access control products. Liftmaster products are designed with the latest technology to increase security, safety, and connectivity. As your trusted local garage door installers, Nabors Garage Doors would be happy to install a Liftmaster product for use on your newly installed garage door, or provide you with any repairs you may need. The Elite Series is a line of garage door openers that takes advantage of the latest technology for improved connectivity, security, and control. If you want a sleek and reliable garage door opener, the Liftmaster Elite Series® is your best bet. The Elite Series® 8550W allows for top-of-the-line connectivity with MyQ, a technology that allows you to connect to, and control your garage door from anywhere in the world. Left on vacation but forgot to close the garage door? No problem. This process is a simple way to make sure your home is secure while you’re away. The Premium Series garage door openers are another great option from Liftmaster. Like the Elite Series, the Premium Series is equipped with MyQ support for maximum connectivity. You’ll be getting an energy-efficient and reliable garage door opener that runs on a Motor Vibration Isolation System (MVIS®). This technology keeps makes your garage door opener quiet and operating smoothly. When you purchase a Premium Series garage door opener, you’ll have a choice between the 8355W version and the 8360W version. The 8360W version comes equipped with some additional features such as DC battery backup capability and the Automatic Garage Door Lock. 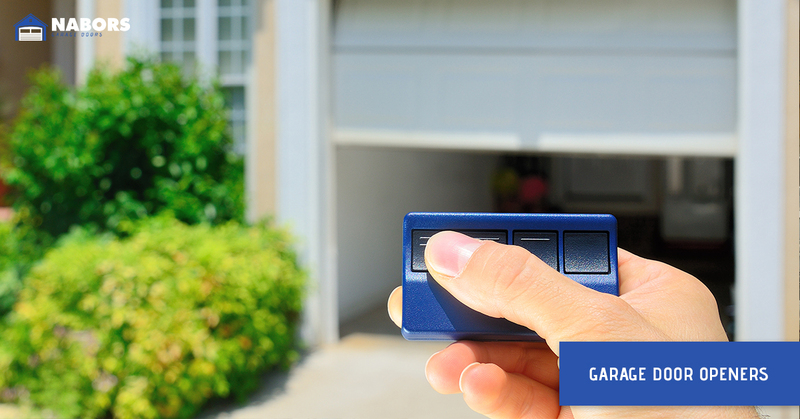 It’s an industrial-strength garage door opener that will never let you down! Both Premium Series garage door openers come with Security+ 2.0™, a system that sends a new code to your garage door every time it’s opened, meaning it will only open for you. Nabors Garage Doors believes in the importance of providing our local Atlanta community with reliable products which is why we provide our customers with Liftmaster products. With every garage door installation, you’ll have the option of either an Elite Series® or Premium Series Garage Door Opener. If you have any questions about the products or services we offer or you’re ready to get started, contact one of our offices in Peachtree City, Suwanee, or Woodstock for Top Rated Local® Garage Door Service & Repair.